Umarali Quvvatov, a vocal opposition figure of Tajik President Emomali Rahmon, was gunned down in Istanbul on March 5. A lone gunman shot and killed one of Tajik President Emomali Rahmon’s most aggressive critics on March 5. Some observers have drawn parallels between the murder of Umarali Quvvatov and the late February assassination of Russian opposition leader Boris Nemtsov. 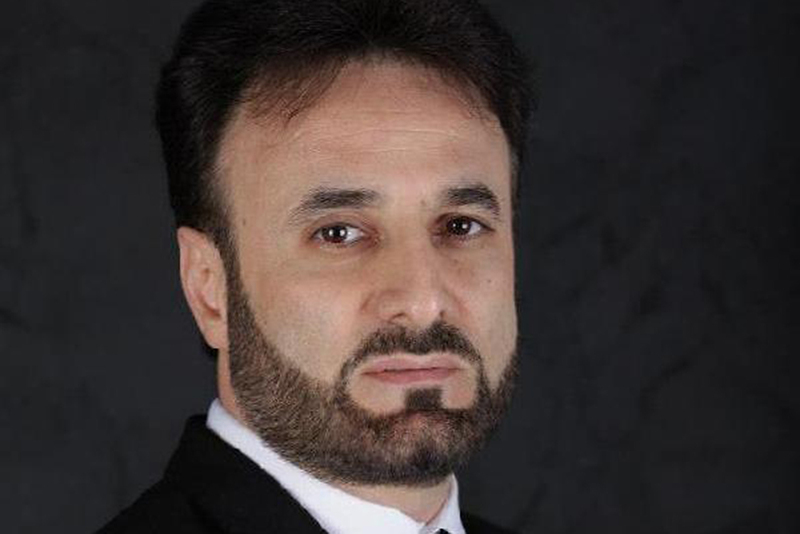 Quvvatov, the leader of a Tajik opposition group called Gruppa 24, was gunned down in Istanbul. He was seeking asylum in Turkey at the time of his killing, which was reported first by Turkish media in the early hours of March 6. While the motive and contextual details remain unclear, many observers suspect Quvvatov’s killing had a political connection. Speaking to journalists on March 6, Muhiddin Kabiri, the leader of the opposition Islamic Renaissance Party of Tajikistan (IRPT), compared the killing to the recent deaths of Nemtsov and Rakhat Aliyev, the former son-in-law of Kazakh President Nursultan Nazarbayev. Aliyev’s death was officially listed as a suicide, although his lawyers questioned that finding. “Independent of [the question] of which forces ordered these killings, these events darken the political atmosphere in their respective states,” Kabiri said. Suleiman Kayumov, a Tajik citizen, is being held in Istanbul in connection with the killing, according to RFE/RL’s Tajik service. Kayumov had been living in Turkey for three months and was reportedly a follower of Gruppa 24. Kayumov reportedly invited Quvvatov and his family to a meal at his home. According to Turkish media reports, the shooting occurred after the meal. After eating some food, Quvvatov, his wife and two children reportedly felt ill and went outside, where an unidentified gunman approached him from behind and shot him in the head. The 47-year-old Quvvatov was a former oil trader who reportedly turned on Rahmon’s administration after being short-changed in a deal by a business partner who also happened to be the president’s son-in-law. He quickly gained a reputation for a no-holds-barred style of political fighting; Gruppa 24 proved adept at using social media to heap scorn on Rahmon’s administration and discredit the ruling family. Quvvatov’s web-based attacks were seen as a factor behind Tajik government efforts to restrict Internet freedom. Up to eight of Quvvatov’s Gruppa 24 members had recently been detained in Moscow pending extradition to Tajikistan, according to the Central Asian country’s interior minister, Ramazon Rahimzoda. Some observers described the detentions as a front-footed attack on the group ahead of parliamentary elections in the country on March 1. The parliamentary voting resulted in a landslide for the ruling People’s Democratic Party of Tajikistan (PDPT) chaired by Rahmon, and the suspicious failure of the IRPT, the country’s largest opposition party, to secure any seats in the legislature. IRPT leaders do not recognize the voting results as legitimate. Officially, the IRPT received 1.5 percent of the vote, while independent estimates placed the party’s total as high as 25 percent. Quvvatov enjoyed support from a small but growing demographic of young, social media-savvy Tajiks, said Parviz Mullojanov, an independent political analyst. Nevertheless, Mullojanov expressed doubt that Rahmon was personally involved in the hit job. “Of course, Quvvatov was involved in big business at one point in Tajikistan, and it cannot be excluded that this killing was a mixture of commercial and political interests,” he said. “This is not like Boris Nemtsov. … This death will not result in protest memorials. Our political culture is completely different. People will send their condolences to close relatives and move on,” Mullojanov told EurasiaNet.org. Quvvatov himself was always evasive when it came to articulating a clear vision for Tajikistan, other than voicing a desire to bring about “the end of family clan rule.” Gruppa 24 also did not project an impression of being a well-oiled operation. For instance, Skype interviews with him when he was in Istanbul were muddled by the sound of other Skype calls taking place simultaneously. He attributed the confusion to the fact that some of his Gruppa 24 cohorts were in the same room, communicating with members of their networks. Someone, it seems, was better prepared than he was.